I’m reluctant to add to the already noisy Apple iPad discussion, but I wanted to follow up on yesterday’s post while the thoughts are still fresh in my mind. This is not opinion, this is established fact. It’s an uninspired brand coming from Apple, looking and sounding way to close to iPod for my tastes. And the feminine hygiene jokes were immediate and plentiful. I wish they would have went with something like Canvas, though that name implies creativity over consumption – the opposite of the iPad. It’s a Bigger, Faster iPod Touch. Or a Crippled Netbook Without a Keyboard. Take Your Pick. The iPad is beautiful – a work of art. But Revolutionary? No. One last, important thing to note in this section: All of the many amazing use cases given for the iPad today could just as easily be accomplished on a laptop/netbook or the iPhone/iPod Touch. All of them. The Price is Better than Expected. In the weeks leading up to Apple’s event, it intentionally fed the “around $1000” price point to the media, setting expectations on the iPad being an expensive device. Focused completely on the “starting at” price of $499. 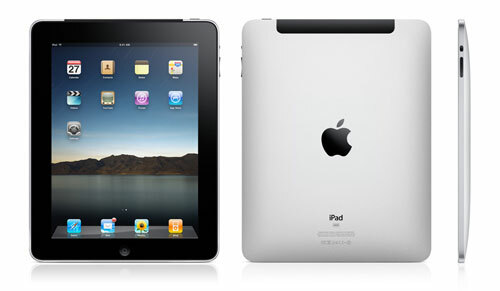 Nevermind that most people will opt to pay more for extra storage or 3G wireless – The iPad is now seen as a bargin. In the end, an WiFi-only iPad costs $300 more than an iPod Touch equipped with the same amount of memory (though the entry level iPad gives you 16GB instead of 8GB like on the basic Touch). It Should Make a Good eBook Reader Killer. For all but the biggest book lovers, there won’t be a big debate between buying a dedicated eBook reader or spending a little more for the versatility of the iPad. The high quality screen should be just fine for reading large amounts of text. Plus, you can always watch HD video on it if you need a break. Personally, I think Amazon’s Kindle brand will be around for a long time to come. They’ve got deep pockets and a huge advantage with the relationships they’ve made from their dead-tree book business. But these other, up-start eBook readers? They’re screwed. 3G Wireless Sans-Contract is Nice. No Verizon Option is Lame. 250 MB Data Plan is Super Lame. I’m glad Apple is offering 3G wireless broadband as an option for those who want to pay extra for it. And the fact that it’s being done without any long-term contracts is really nice. I hope that becomes the industry standard. Apple partnering up with AT&T again for the iPad is a disappointment as they’ve already proven they can’t handle the network load created by the iPhone. It would have been nice to finally see a Verizon Wireless option. The 250MB/month data plan for $14.99 is useless. You can burn through 250 megabytes in a couple of hours if you’re watching YouTube videos or streaming music from Pandora. I really think it’s there as a psychological pricing trigger – If you see it next to the option for “unlimited” data for twice the price, a lot of people will pay the extra money and be done with it. The iPad is unquestionably an amazing consumer electronics device, but it’s not obvious why I’d want one. Maybe, as some Apple fans have said, you have to actually hold one in your hands in order to get it. Problem is, I don’t remember needing to get my hands on an iPhone to appreciate its significance. And that, I think, sums up the Apple iPad.